James Rogers was born on July 5, 1946, in Washington. He enlisted in the U.S. Air Force on March 2, 1966, completed basic training at Lackland AFB, Texas, in May 1966, and completed Pararescueman Training at Orlando AFB, Florida, in June 1967. His first assignment was as a Pararescueman with the Aerospace Rescue and Recovery Service at Orlando AFB from July to September 1967, followed by service as a Pararescueman with the 37th Aerospace Rescue and Recovery Squadron at Udorn Royal Thai AFB, Thailand, from September 1967 to March 1968. 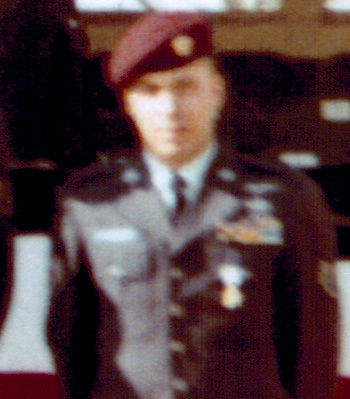 Sgt Rogers then served as a Pararescueman with the 40th Aerospace Rescue and Recovery Squadron at Udorn from March to October 1968 before serving with the 305th Aerospace Rescue and Recovery Squadron at Selfridge AFB, Michigan, from October 1968 to June 1969. 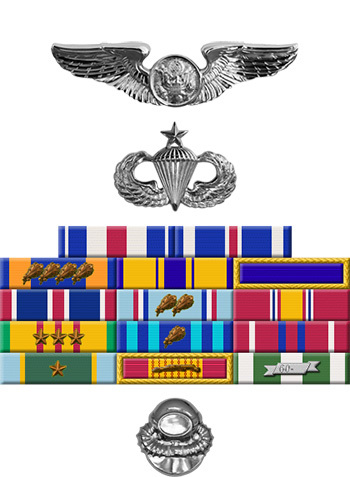 His next assignment was as a Pararescue Instructor with the Aerospace Rescue and Recovery Training Center at Eglin AFB, Florida, from June 1969 to June 1971, and during this time he served as the Pararescueman aboard the HH-53 "Apple Three" during the Son Tay Raid, a clandestine mission to rescue American Prisoners of War in North Vietnam on November 21, 1970. Sgt Rogers' final assignment was as a Pararescueman with the 71st Aerospace Rescue and Recovery Squadron at Elmendorf AFB, Alaska, from June 1971 until his honorable discharge from the Air Force on June 24, 1975.